Here's this week's comic for Investing.com. 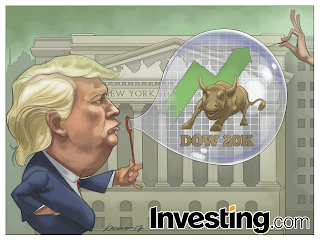 The subject this week is the speculative bubble that markets are probably in currently, the DOW Jones industrial average hitting 20K, Donald Trump, and the connection betwixt those three things. 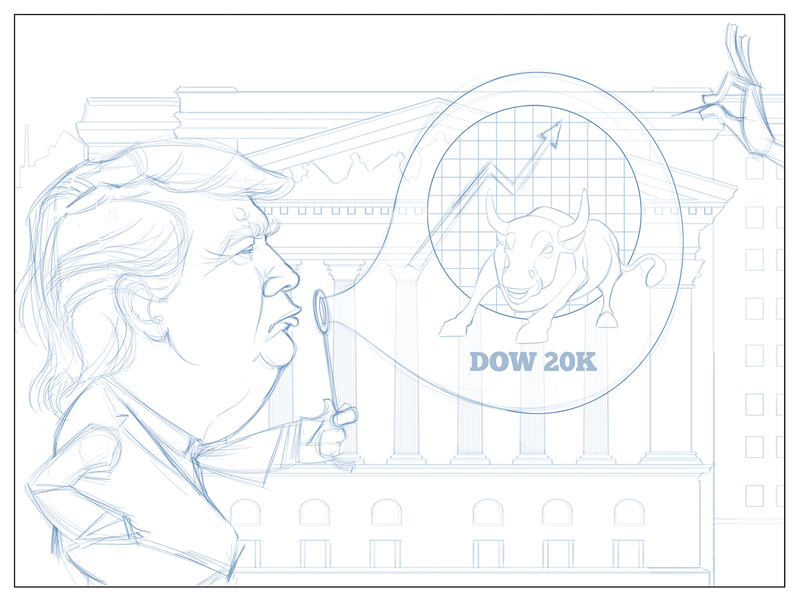 The team at Investing.com asked me to draw Donald Trump blowing a bubble in front of the New York Stock Exchange. Inside the bubble, they asked me to draw a stock chart with an up arrow, the Wall Street bull statue, and the words "Dow 20K". Not too much to say on this one. I drew the sky an ominous-looking green to mirror the tone of the comic's subject. 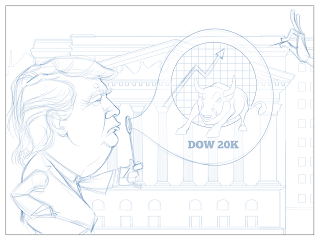 I think I'm getting better at drawing Trump. Then again, sometimes I say that and then can't seem to do a decent job of it for weeks afterward, so who knows. You'd think after this many years of drawing, I'd have a little more consistency. And to be fair, I think I'm improving at a GLACIAL pace, but there are definitely still peaks and valleys. Have it back in one piece.